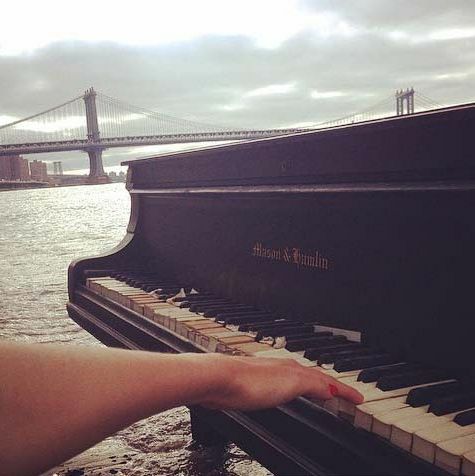 No one knows why, but for a few days now, there’s been a Mason & Hamlin piano just sitting under the Brooklyn Bridge. First reported by Gothamist, the waterlogged piano, which no longer works, has become a big thing on social media, because of course. It might as well be a Banksy. But even if it looks beautiful in black and white, the Instagram is just not worth it. Yep, it’s a real piano. Nope, doesn’t play.